Hy Lite Windows revolutionized the use of glass and acrylic windows to enhance new construction or replacement projects. Each block glass manufactured by Hy Lite is beautiful yet lightweight and easy to install. The block weighs 70% lighter than a traditional glass block and is delivered to its customers pre-assembled. In its Pensacola, Florida headquarters, it produces products using these blocks in different shapes, designs, colors, and applications its customers need. It has its high-technology manufacturing plant, a reliable and wide network of dealers and an internet e-market to reach the international market. Originally named Décor Design Blocks, the enterprise was founded by Julian and Marlon Carlson and operated in Canada in 1988. The founders invented and sold the acrylic blocks with elite wave models and with its success and growth, renamed the company Hy Lite Block Windows. As its operations expanded, it relocated to three different locations in California and set up a bigger second facility in Georgia. In 1991, the business was called the Hy Lite Products, Inc. The company was sold in 1998 to SBR, Inc. and then to Fortune Brands in 2006. In its more than 20 years of operation, Hy Lite Products developed numerous product lines such as cross web design, vinyl-framed windows, frosted wave block pattern, ArchTop, New RoundTop, circle windows, Retrofit block, Green Colored block, Diamond block, perimeter trim, pre-assembled radius wall, block insert, solar blocks, decorative glass and StormBlocker hurricane windows. Throughout the years, the company’s marketing efforts such as putting up a showroom, a cooperative advertising and program for model homes, dealer materials support, website development, and a 10-year product warranty paid off. It has maintained its market and continues to reach new ones because of its delivery of excellent products. It is also a multi-awarded company for its innovative, practical and eye-catching products. New Construction Block Windows – These are made of traditional or solar block windows in either vinyl or aluminum frames. There are three shapes to choose from: RoundTop, ArchTop and Octagon. These new construction windows come in fixed sizes. Retrofit Construction Block Windows – These come in two options. The first one is the vinyl-fixed window, which is fusion-welded. 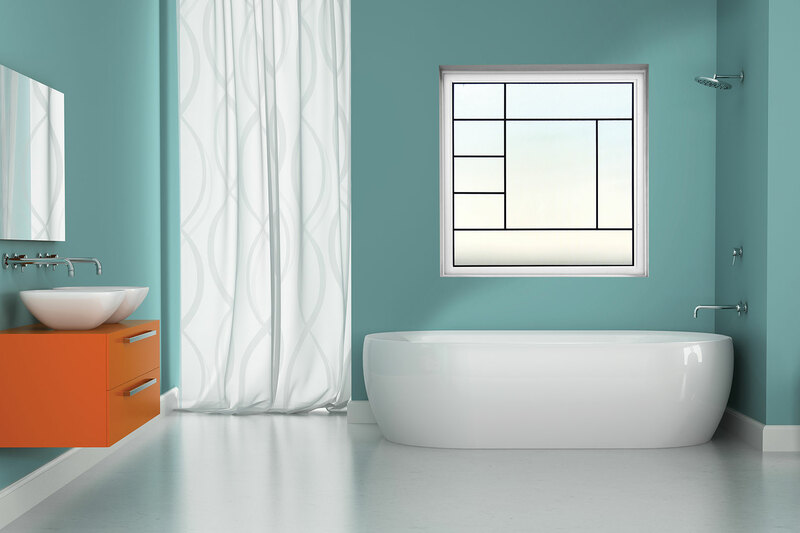 The other is an operable window, which is available in casement, hopper and awning types. They come in different colors, styles and frames and also in solar blocks, which are tinted with Low E to minimize heat absorption. Decorative Glass Windows – These are triple glazed, leaded glass window in a vinyl frame. These elegantly crafted windows also provide thermal efficiency. The obscure pattern keeps rooms private and makes these windows perfect for bedrooms, bathrooms, stairs, kitchen and spa. They come in various shapes, caming colors and patterns. Hy Lite Windows are offered in different stock sizes. Each window passes through rigorous processing and testing in order to satisfy and even exceed performance standards set by the code and other regulatory bodies. Independent laboratories have been involved in air or water infiltration, energy efficiency, solar heat, UV protection, structural performance and other tests to ensure the quality of the products. All Hy Lite Windows are under a 10-Year Limited Warranty.